No one else is doing a Supergirl thread and I wanna ramble about it and you can’t stop me! 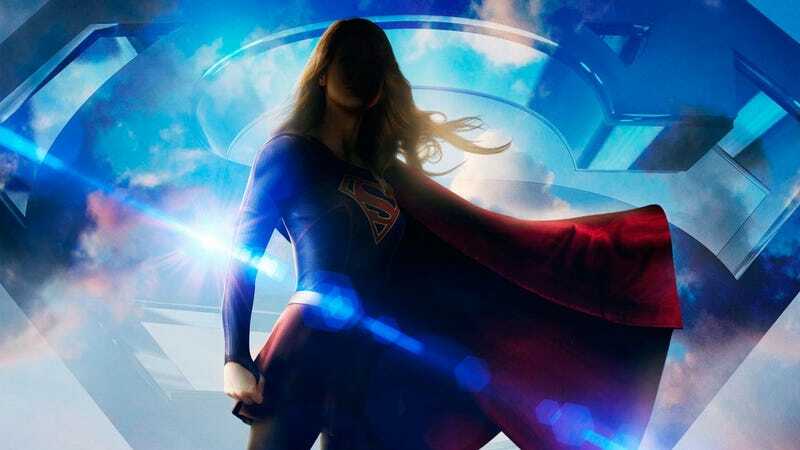 So begins the (hopefully) regular Supergirl thread where I will probably ramble about the episode with some spoilers and you can feel free to post your reviews and thoughts and feelings and macaroni art in the comments. The episode was fairly good I think. I thought Medium Blue’s rage issues made sense in the context we are given and I didn’t mind their attempt to have the issues worked out. They actually manage to make Cat Grant an interesting grey character (or is that just my interpretation?) by making her a realistic mix of sympathetic and helpful at times while also terrible. No Cat you are still terrible for taking your anger out on Kara and she was right to be angry at you. The Red Tornado thing went better then I expected given how silly he looked. I liked the eyeglow they did, the hip swivel windup, and he played silent automaton very well. 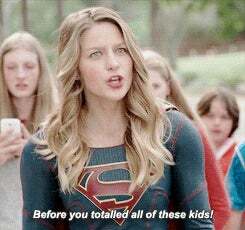 He made a decent enough punching bag for Kara’s rage and he gave us the most badass scene to date. It is really disappointing they killed off T.O. Morrow and Red Tornado but my hopes are maybe Morrow that Alex fought was a robot or something and real one is out there building another Red Tornado who will end up a hero. Relationship drama llamas kept being the weak point of the show. Really a game night scene was such a tired and over used trope. And I half expected General Lane to tell Jimmy he didn’t approve of him cause he was black the way THAT was going. And Lucy just quits JAG? Can she do that? Its kinda disappointing regardless but maybe she will get a cool new job. The scene of Kara and Jimmy punching stuff was pretty good though. I liked the episode wasn’t entirely self contained as it ended with setup for next week. And next week’s episode looks amazing! If they can just keep the drama llamas to a minimum.